This Post has already been read 307 times. Valuing customers convenience, Jazz brings for its customer a daily social recursive offer. Customer can subscribe to this offer once and will automatically be re-subscribed to the offer without having to dial the subscription code. 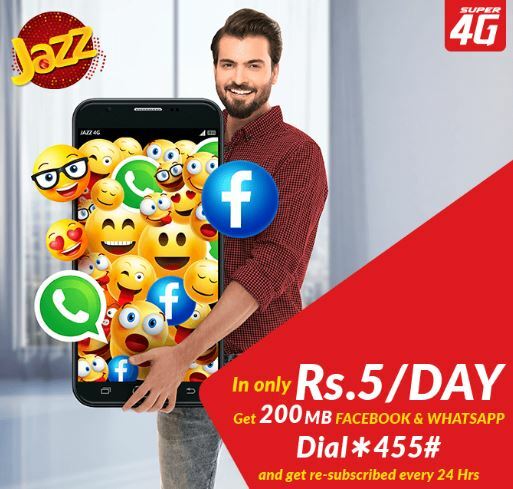 With this offer, Jazz customers can enjoy Jazz Super 4G 200 MBs on Whatsapp and Facebook.